Color accuracy is something that is difficult to attain in the field of graphic design as well as printing. A graphic designer needs to have a particular eye for color accuracy. Color is a most fascinating facet of print design. It is a herculean task to make clients have a perception of colors that you have judiciously chosen and combined to bring your design alive with the desired effect. One’s color perception is affected by the way one sees colors. The way we see, percept and feel colors vary depending on the individual structure of our eyes. This fact goes well with colors in the range of blue. Colorblindness is also what gets in one’s way of viewing colors. Colors if placed side by side overlap each other in terms of impact. It is because of either visual illusion or reflection. The intensity of colors that you are working with for a design on your computer varies with the way the computer is set up. It also depends on the brightness and contrast of the computer screen. The color of designs on a website may differ with the color of the designs on a printed copy in terms of intensity and accuracy. Difference between the color palette used by websites and the color palette used by web browsers is another reason for difficulty in achieving color accuracy in design. 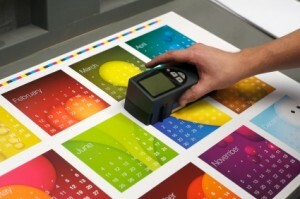 If you follow a traditional printing process to print a design and if the same design is printed with a particular printing system, the colors differ due to the difference in the printing processes.